Our comprehensive transportation solutions serve a diverse array of independent, educational, recreational and corporate occasions. From regular casino line runs to private events, as well as college campus tours and exclusive corporate conference needs, our experienced team is prepared for almost anything. We know that your life has many facets, and with that you have people to see and places to go. We would be honored to offer you comfort, convenience and consistency every step of the way. We offer regular transportation as well as custom group packages to California’s most crowd-pleasing casinos. 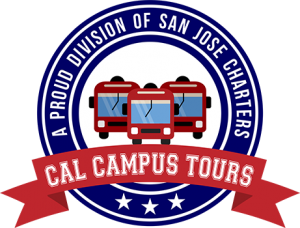 If you have at least 28 passengers and need a lift…San Jose Charters, Inc. would love to make your next private event even more special and less stressful. We believe in affordable, straightforward rate quotes. No hidden fees, no surprises, simply a recommendation of the shuttle size and type to meet your needs. We all know there are no guarantees in life, but we do everything in our power to provide punctual transport, dependable vehicles and superior service. We strive for exceptional quality and utmost integrity in our team members, our fleet and our diverse route offerings. We infuse every adventure with a touch of our 17 years of experience and unrivaled affordability, reliability & integrity.